Archive article from 2016. Information contained here may no longer be up-to-date, but is left online for reference purposes. Viewers have expressed their disappointment over the unannounced loss of music channel Vintage TV on Freesat. The removal of the channel from Freesat comes just before Vintage TV is due to go live on Freeview channel 86. 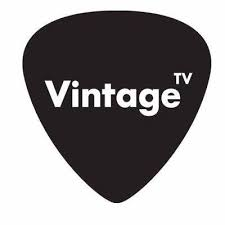 Vintage TV, previously available on Freesat 505, and specialising in older music videos and performances was dropped from the free-to-air satellite service this week without any prior warning to viewers. Despite enquiries from annoyed viewers on social media, the channel is staying tight-lipped about the reasoning behind the Freesat decision, but viewers with Freesat can currently still access Vintage TV using the manual tuning function on their Freesat boxes (technical parameters below). Freesat has been issuing non-committal responses to enquiries, informing customers that "Vintage TV is not currently available on Freesat". Vintage TV launched on both Sky and Freesat in 2010, and was named Best Themed Channel in the 2011 Freesat Awards. The channel continues to be available on Sky (channel 369) as well as on Virgin Media (channel 343) and is planning a July launch on Freeview channel 86, although Freeview coverage will be limited. It has also been available as a 'streamed channel' on compatible connected Freeview and YouView devices via channel 242. You will need a DVB-T2 compatible device (i.e. Freeview HD, Freeview Play, YouView, EE TV box). You will also need to be in an area where services such as BBC Four HD (channel 106), Al Jazeera English HD (channel 108) and Keep It Country (channel 87) are already available, as it will broadcast on the same frequency. The service on channel 86 will technically reach just over 75% of the UK, but because actual reach (due to aerial types and aerial direction) is slightly lower, at just above 70% of UK households.